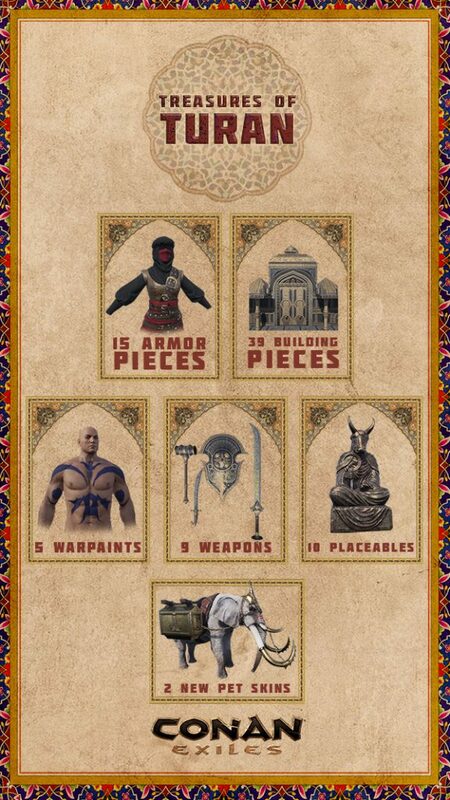 Treasures of Turan comes with new building pieces, placeables, armor sets, weapon sets, warpaints and pets. As Turan is one of the wealthiest nations in Hyboria, it’s fitting that this offers the most ostentatious gear and building pieces in Conan Exiles yet. Enjoy the golden decorations of the building pieces and finely wrought weapons and armor.